Robert Tonner, known throughout the world for his award winning dolls and fashions, began his career as a head designer for Bill Blass after graduating from the Parsons School of Design. In recent years he has combined his fashion experience with sculpting and design talents to produce the unique and appealing dolls that have established him as a leading doll artist. Through his designs, the Robert Tonner Doll Company recaptures the magic of classic characters such as Orphan Annie, Betsy McCall, Superman, and Lois Lane. 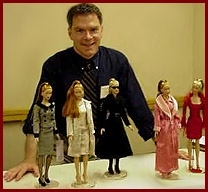 Robert is a past president of the National Institute of American Doll Artists (NIADA) and his dolls have been featured in national and international media including People magazine, CNN, the Barbara Walters Oscar Night Special, Entertainment Tonight, and British Vogue magazine. A recent, and very special, honor was having another of his creations added to the permanent collection of the Museum of Decorative Arts at the Louvre complex in Paris. Tyler Wentworth is one of the most interesting and well-received fashion dolls to be produced in the last few years. 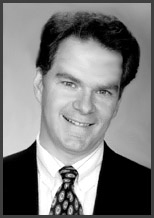 Tyler Wentworth was created by Robert Tonner, and is produced by his Robert Tonner Doll Company. Robert Tonner went through with the creation of several fashion dolls before he was ready to create his ultimate fashion doll. He says that he was "neurotic, obsessed about the sculpt" for this fashion doll. He wanted a vinyl head on a hard plastic body, and it was important to Tonner that the head could turn side to side as well as up and down; the arms to move out as well as up and down; and a bendable knee so the doll could sit. All this would make the doll extremely poseable in lifelike positions. Tonner also needed his fashion doll to have a realistic womans body yet with a very nipped-in waist (so she could wear layers of clothing in scale. Without a slight exageration of a nipped-in waist a fashion doll would appear "bulky" and out of proportion once dressed). Tonner also wanted the hands and feet in good proportion, and one also realistic, womanly hips. All this and she had to have the special look of a realistic fashion model. To created a history for the doll that would be lasting and lend itself to future success, he made her a fashion designer. Tonner has succeeded spectacularly with Tyler Wentworth! She has perfect proportions for showing off miniaturized fashions. She is a true hands-on doll, with truly outstanding clothing and accessories. She is extremely poseable. Being a fashion doll, of course clothing is the essence of Tyler. Tonner has concentrated on using only the finest fabrics: linen, cashmere, silk and mohair. Tonner looks for fabric all over the world for Tyler's wardrobe for every occasion, which include: work, ball gowns, cocktail dresses, sleep wear, business suits, and resort wear. Tyler's fashions are very "real clothes" contemporary and classics shrunk down and not trendy, fadish or cutting edge. Tonner first creates by doing quick, sketches, which start with shapes, etc. After the initial sketches, the formal sketches are done and sent to a pattern maker. For fabrics, he must be careful to use only fabric that will drape and hang just right in proportion and scale to the size of the doll. Tonner has discovered that structured pieces work best. As part of Tyler's story Tonner had to pick an industry magazine that Tyler would read. Tonner decided that the magazine on Tyler's fashion world would be Fashion Design Weekly and it was included with the outfit Wake Up Call. Additionally, one of Tyler's accessories would have to be a Design Portfolio. He needed patterns for Tyler and worked with the Simplicity company on producing three Tyler pattern sets. The first printing of 9,000 patterns sold out immediately! Simplicity may put the Tyler patterns into the Simplicity catalog. Tyler was supposed to be introduced in 1999, but was delayed as there were some design issues that held the doll up. The initial hold up was a size-problem with the head that had to be addressed before the doll was released (head was too small and had to be enlarged after the prototype. This called for a chemical process where you blow vinyl up.) It took months to get the head JUST right, which was a big part of the delay in releasing the doll. In 2000, all of the design issues were resolved, and Tonner shipped 15,000 Tylers in the first part of 2000. Another new accessory introduced in 2001 was a drafting table for Tyler! Tonner promises some more additions to Tyler's family, such as the very popular Esme, an African American beauty. Esme has had a great response. Esme's story is that she was discovered by Tyler in a bookstore. a pre-med student. Tyler was so taken with her look that she invited her to participate in the next fashion show. Esme wears Tyler's designs and has her own clothes as well. Also added was a"Sydney Chase" doll, the owner of Chase Modeling Agency. We also have Mae Li, Asian American beauty and the something sleek girls...and coming the summer of 2002, the exquisite plus size model Emme! Well actually, she is the size of the average American woman, and that is a size 14! HOORAY for all of us! MORE INFORMATION ON THE 2002 RELEASES ARE HERE! Other Tonner dolls are here!